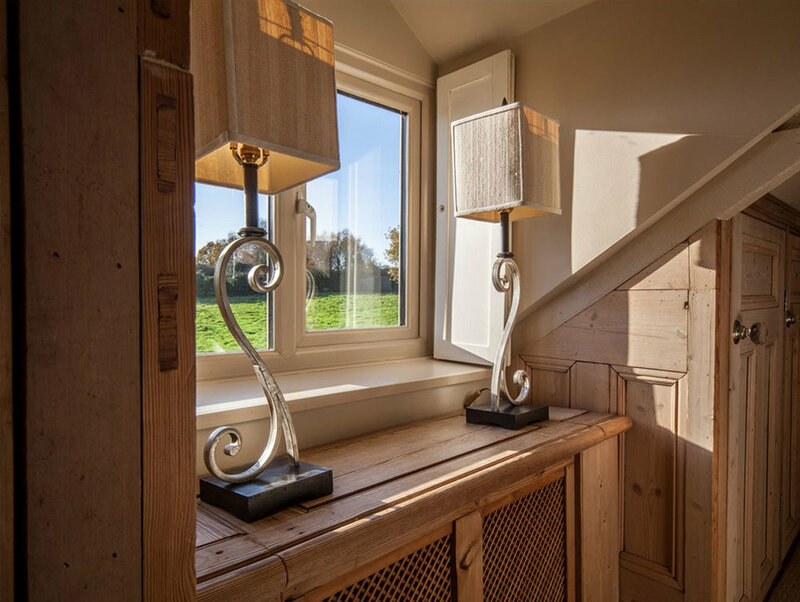 Situated in the converted cottage attached to the pub with its own private garden where you can enjoy your complimentary Prosecco on fine days. Upstairs the King Size bed has Duck and Goose down duvet and pillows, Millionaire mattress with views over the village pastures where the Barn Owl visits daily. The bathroom has a Victorian bath with claw feet, shampoo set, heated towel rail, robes and complimentary REN Aromatherapy toiletries.The bedroom and bathroom are cosily situated in the Cottage Eves so is not particularly suited to tall individuals. 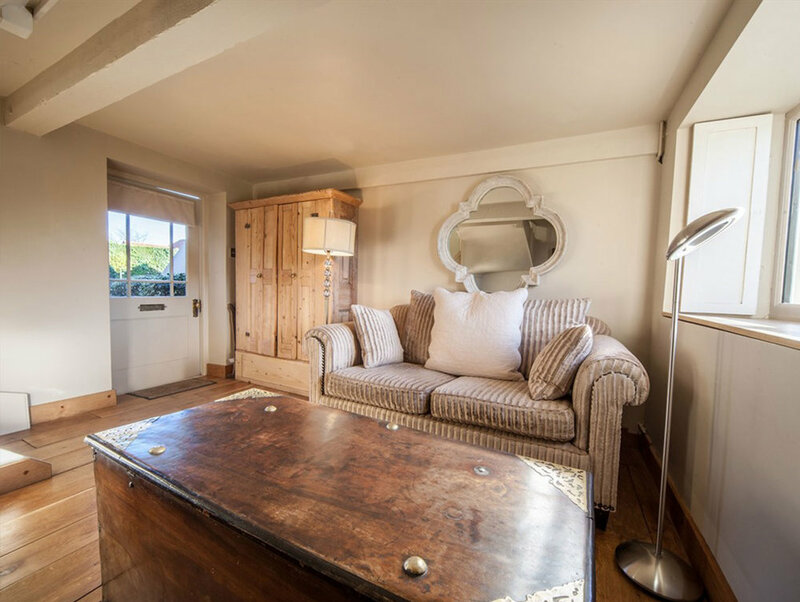 Downstairs has the benefit of a pretty separate lounge with Chanel designer settee, large flat screen TV, WiFi with plenty of DVD’s and books of local interests. An Antique chest serves as your breakfast table or of course on fine days on your private patio. Hamper continental breakfast consisting of freshly baked Pan Au Chocolate and Croissants, Dorset Cereals, local yoghurt and fruit is delivered between 8.30 and 9 am with a daily paper of your choice. Full English Breakfast is available nearby if you prefer, we allow a £10 discount on your room please advise on arrival. Our rooms are serviced after 10.30 for those that enjoy a lie in. Sorry we do not allow Dogs in the rooms. Room bookings are for a minimum 2 night stay and a deposit of 30% is required on booking. Last minute 1 night stays are sometimes available please ring 01263 740101 during Pub opening hours and speak to our managers Sean or Will. Please be advised to reserve tables for Dinner especially at weekends simply click book a table on line.